To be eligible for indigent health care services, clients must be residents of Hays County, ineligible for Medicaid and meet specific income and resources requirements based on AFDC (Aid to Families with Dependent Children) guidelines. Services: Provides assistance to low-income families and individuals who seek to enhance their quality of life or achieve economic self-sufficiency. 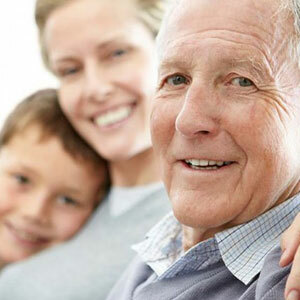 Services primarily include utility assistance, rental assistance, case management services, and senior citizen services. Services: Provides food to people in Hays County struggling to make ends meet. Public distributions of food are held Monday through Friday at locations in San Marcos, Kyle, Buda, Wimberley, and outlying areas of Hays County. Services: Provides a shelter for families and children that have been displaced from their homes on a temporary basis. Maximum length of stay for a family with children is 3 days. Services: Provides comprehensive services for victims of family violence needing shelter. Provides education, violence prevention services, and crisis intervention to victims of family violence, sexual assault, and child abuse. Services: Shelter for a small number of single homeless persons. Services: Provides comprehensive services for victims of family violence needing shelter. Operates a 10-family, 36-bed shelter for battered women and their children. Battered men with or without children are sheltered in a separate, secure location. Services include counseling, legal advocacy, 24-hour staff support, and assistance in relocation. Services: Emergency assistance with food, medical costs, lodging, clothing, and utilities. Services: Limited food assistance, furniture when available, partial financial assistance for electric bills, water bills, gas bills, gasoline vouchers for medical appointments only and single-use and monthly bus passes. Services: General financial assistance on a limited basis. Services: Low cost clothing, shoes, and household items.